The last thing that anyone expects from a trip to the beach is to end up injured, but there are many hazards both in the water and on land that can cause an accident or injury. When a beach is improperly maintained or lacks proper staff, the owner can be liable if a beach accident results from the owner’s negligence. Anyone who is hurt while visiting the beach should consult an experienced attorney to find out if they are entitled to compensation to cover the cost of medical care that is the result of their accident. While not all beach drowning accidents are caused by negligence, it is always a good idea to explore your options and whether the incident could have been avoided if the owner of the property took adequate measures to keep the beach safe. Common injuries sustained on beaches include the following. The lack of appropriately trained lifeguards at the beach can result in drowning if a swimmer suffers an injury and is unable to make it to shore. Lifeguards are also able to save lives if beachgoers happen to be hurt on land as well and are a vital part of beach safety. In many of the cases involving beach accidents, the incident could have been avoided if a lifeguard was present. If you were harmed on the beach and felt that your injury could have been prevented, it is essential to speak with a qualified personal injury lawyer to review the details of your case. It is often the case that the severity of injuries sustained on the beach can be significantly reduced or that accidents could be avoided entirely if the property owners make minor adjustments to the upkeep of the beach or the amount of staff and the level of training provided to them. If a court determines that your injuries were the result of negligence, you may be entitled to damages in the amount of the cost of your medical care, pain and suffering and any lost wages that might be the result of your recovery. 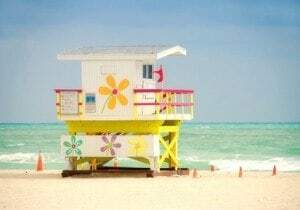 The beach accident and Illinois drowning lawyers at Rosenfeld Injury Lawyers LLC are dependable attorneys with specialized knowledge in injury law and experience with similar cases. Our lawyers will help determine if the cost of your medical care should be covered by the beach owner and how to ensure that the owner is held liable if your injuries are the result of negligence. Contact our firm today to schedule a free consultation and evaluation of the details of your case. Movie Star's Son's Drowning Demonstrates Pool Drain Safety"